Libby Elementary in Englewood to get a makeover. Source: Google Maps Street View. 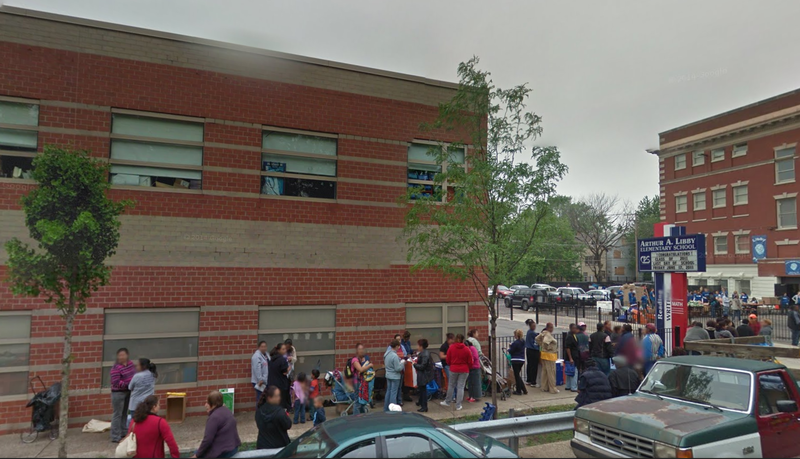 On June 25, over 150 volunteers will participate in a blitz-build restoration of the 30-year old Arthur A. Libby Elementary & Middle School in the Englewood neighborhood of Chicago. The school serves as an early childhood education center for over 100 underprivileged young children, ages 6 weeks to 5 years old, and is operated by Metropolitan Family Services, an organization that provides services to low-income and working poor families. The restoration is the latest project of AEC Cares, a non-profit dedicated to bringing together architects, contractors, manufacturers and industry professionals from across the U.S. to improve communities. FREE Download: The Monthly MMI® Report – price trends for 10 metal markets. Over 30 building product manufacturers have donated money, building materials and volunteers for projectChicago. Materials donated so far include paint, vinyl flooring, ceiling tiles and playground equipment. The early contributions helped simplify planning and budgeting and have enabled AEC Cares to provide even more improvements to the building. Some organizations have been with AEC Cares since its inception four years ago. Such is the case with vinyl manufacturing trade association The Vinyl Institute (VI), which is a projectChicago Silver sponsor. VI spokesman John Serrano, who is also an AEC Cares blitz-build volunteer, finds involvement in projectChicago as a chance to help needy communities, through collaboration with others in the AEC sector. Many manufacturers participate in AEC Cares because the project is a direct way to help communities in need. Giving time, effort and material aid to improve people’s lives is a rewarding way to reinforce company values, and it can be a transformative experience to witness first-hand the impact of the renovation, both before and after completion. Although projectChicago takes place in less than one week, AEC Cares is still seeking material donations of paint supplies, vinyl decals, faucets and furniture. Financial contributions are still welcome as well. No amount it too small. For more information on projectChicago or AEC Cares, contact Tara Godfrey or visit aeccares.com.